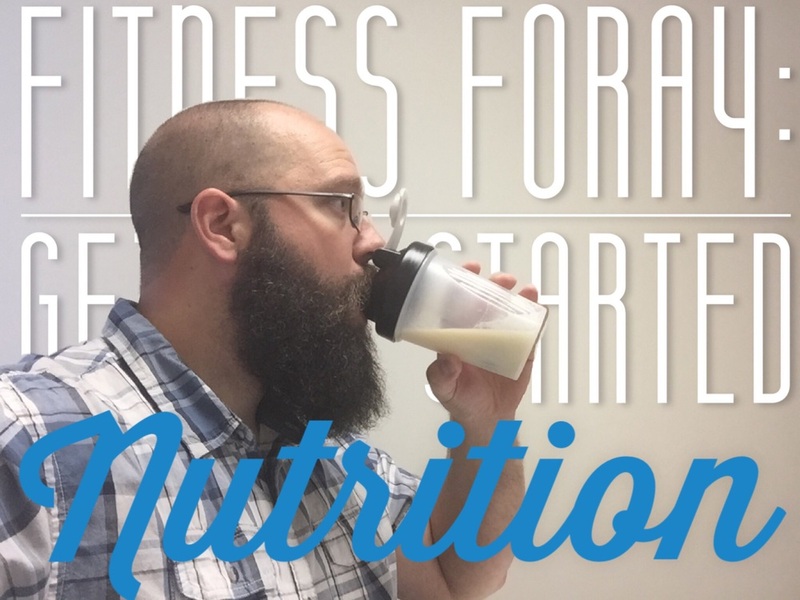 If you missed the first post in the "Fitness Foray" series, check it out here. I like to look at some challenges in life through the lens of a battle or fight (something I understand a great deal about after being in martial arts for so long). A "foray" is a "sudden attack or incursion into enemy territory, especially to obtain something; a raid". This is a perfect description of the journey that I am about to embark on to obtain a healthier me. As someone who has never been in "peak" physical condition, who has never seen all 6+ abs, and who has always had a hard time buying clothes, the discipline/consistency in the "health & fitness" culture has always been enemy territory. As one strategizes a plan of attack, you closely observe the enemy and look for small footholds that can provide you with an advantage. Through the process of researching your foe, you must continue to train so you are ready when the time is right to implement the plan and move forward with your attack. I made a few promises to some friends years ago. A buddy of mine has lost 35 lbs using "Body by Vi" products and he is a promotor for them. Several years ago, I promised him that if I ever decided to get healthy, I would look into what they have and would give it a try. Another friend approached me with "AdvoCare". He wasn't in bad shape, but he shaped up quick. I have seen other friends try it and they lost good amounts of weight as well. The initial nutrition plan is to give "Body by Vi" a serious try "by the book". Then, regardless of results, I will switch to AdvoCare and try the 24 day challenge and a longer program following that. This is the training in preparation for the longer term nutritional solution called "eating healthy". Using these two systems that have everything laid out for me will give me time to research the long term diet/nutrition plan. I am researching several options from whole unprocessed foods to old school "doctor recommended" pyramids. What long term nutritional plans have you tried, stuck with, and liked? 1. a sudden attack or incursion into enemy territory, especially to obtain something; a raid. "the garrison made a foray against Richard's camp"
As a kid I was always bigger or pudgy and I didn't like it. I was always active and my blood pressure was ok. I took martial arts for several years and won tournaments. I could fight for hours and hours. My parents got a trampoline for me on Christmas. I spent no less than 3 to 4 hours jumping. So, while I was "big boned", I was healthy. Docs always said I never had a problem but was "a little big" according to the charts. In college I started training for a marathon and blew out my knee playing Ultimate Frisbee. No more 11 mile long runs. I never tried running consistently again. While I was engaged, I hit the gym hard. I liked the way I felt, initially. At 33, I don't feel as good after a workout. I sometimes am tired & sluggish. My diet is the problem. I never liked starting with diet. I use to "re-start" my fitness plan by changing my level of activity and the diet usually followed as my cravings would change from cake to carrots and fruit. However, recently, the cravings didn't stop. I can continue to workout and my body feels miserable. I'm not getting the right fuel for the level of activity I had committed to. Something had to give ... so I kept the cake and said good bye to the cardio. Last year I committed to ignore my physical health to focus solely on my business. After we have a great flow and are up and running, I can take an hour or two out of my days next year and figure out how to get healthy. It is time. What am I going to do? I'm not sure. I'll share with you my journey post by post over the next year or so. Just check the "health & fitness" category. If you have any suggestions on where/how you would get started, please share them in the comments section!